A regional farmer’s market has opened nearby, and I couldn’t wait to go and browse all the stalls. I just love looking at all the fresh produce, herbs, cheeses and baked goods. My creative juices start to flow as I imagine what I could do with it all. Everything was so tempting, that I had to exert great self-restraint, and therefore brought home mostly vegetables. Using some of that bounty I put together this soup that bears some resemblance to Minestrone, except there are no beans, and instead of the usual ditalini I used Israeli couscous. It is also a little like gazpacho except there are no peppers. 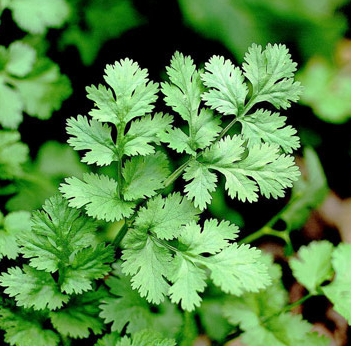 It does contain cucumbers, part of it gets pureed, and it can be enjoyed warm or cold. Its a great summertime soup for a light lunch, or perhaps combined with a sandwich or salad for a light supper. I’m not sure what to call it so let’s just say —- Summertime Vegetable Soup. In a pot of boiling salted water, cook the couscous until al dente, 8-10 minutes. Drain and rinse with cold water. 2. Meanwhile, in a large saucepan, heat 2 tablespoons olive oil over high heat. 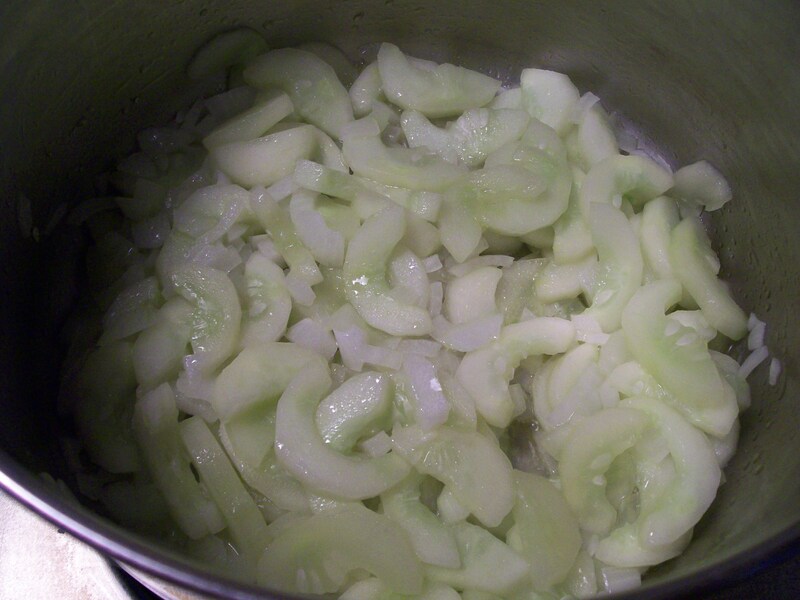 Add the cucumbers and cook stirring occasionally. As they soften and become translucent, add the chopped onion and continue cooking another 4-5 minutes. Don’t let them become too browned. Stir in the tomatoes, paprika and vegetable broth. 3. 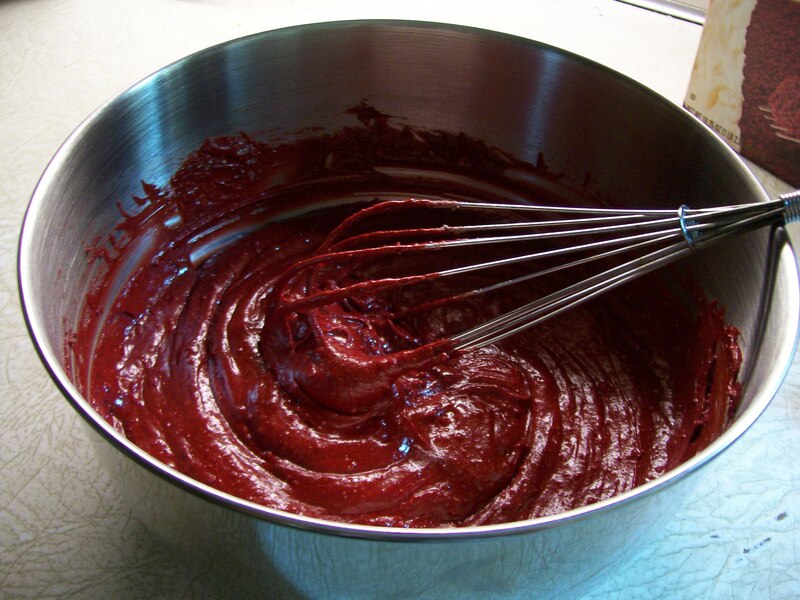 Using an immersion blender, regular blender or food processor, puree this mixture. You may need to work in batches. Return to the pot and stir in the couscous and shredded zucchini. For cold soup refrigerate at this point. 4. 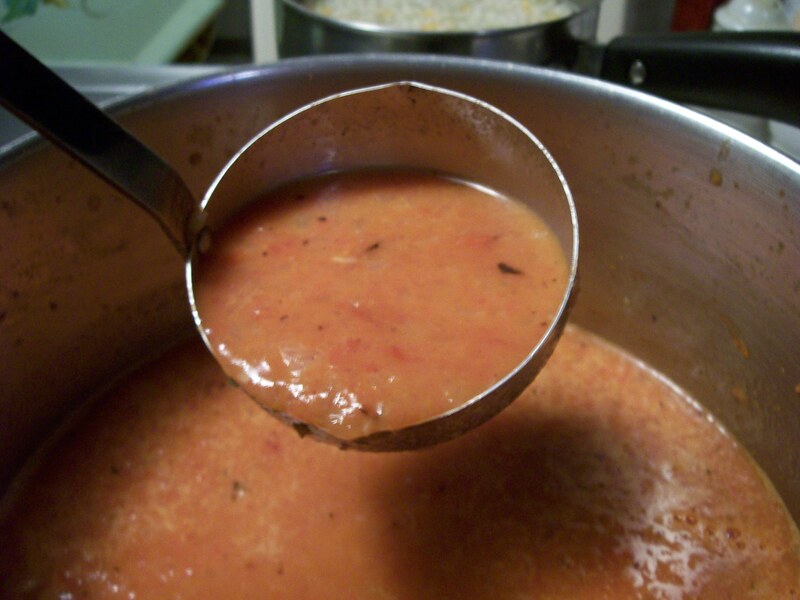 To serve warm, return the soup mixture to the stove and reheat, so the new added ingredients become warmed through. P.S. 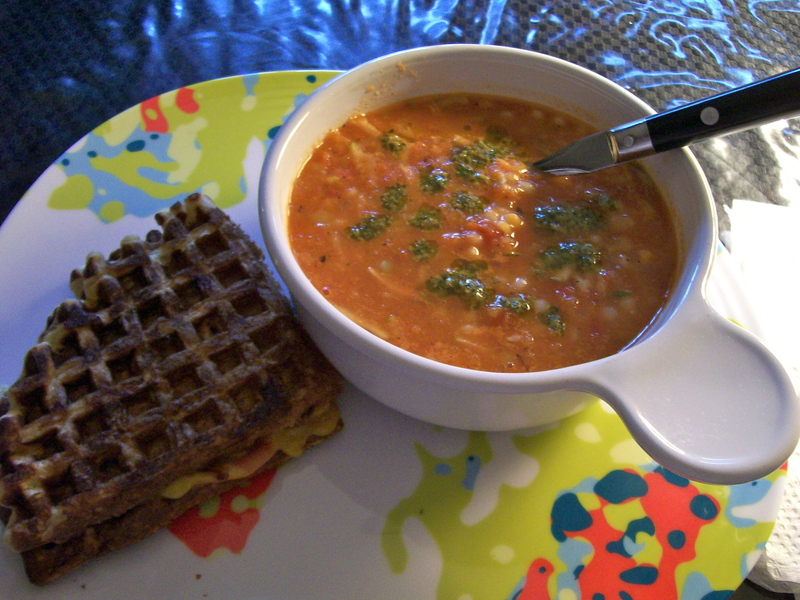 This soup tasted even better the next day after flavors had time to meld. 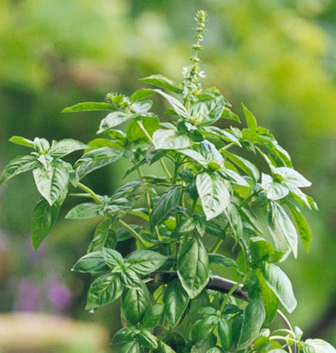 ****Stay tuned this week for my recipes on making your own pesto(s). 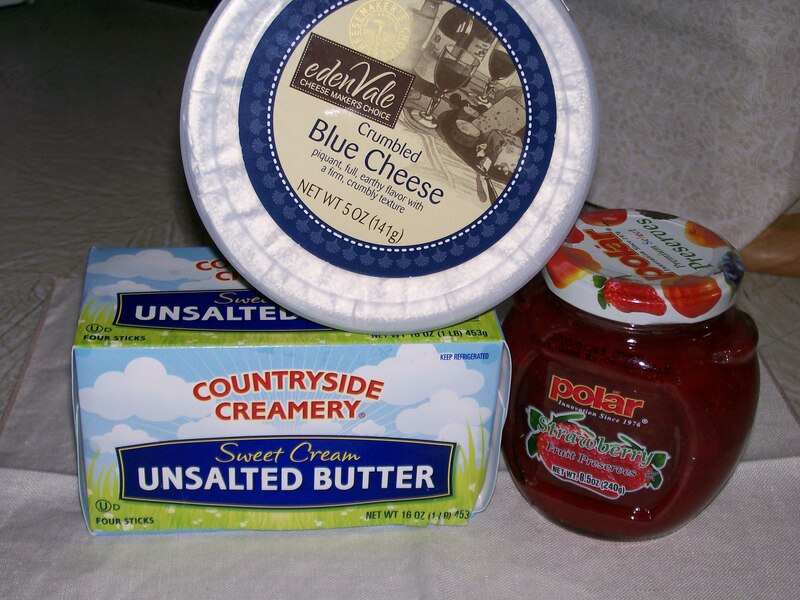 Blue Cheese does not sit very high on my list of favorite foods; in fact, honestly, its not on my list at all. 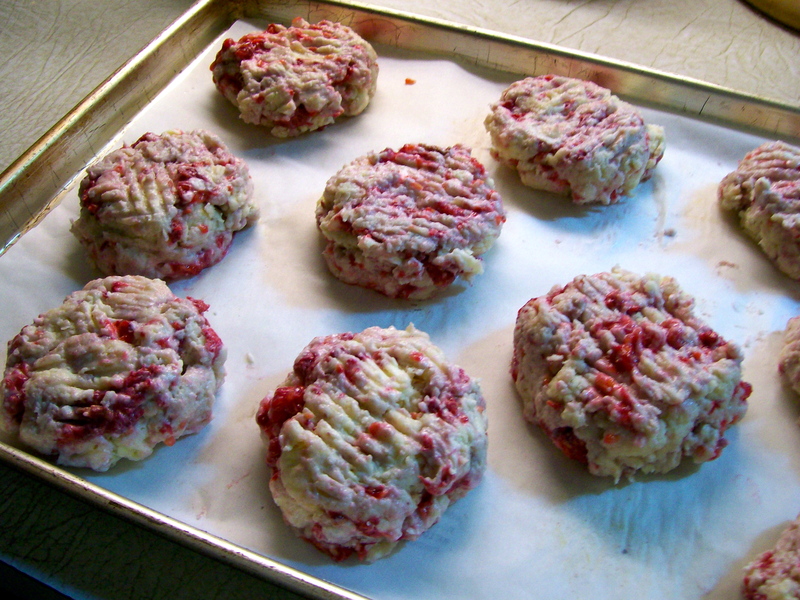 One day, however, I was browsing thru a magazine ( don’t remember which one), when I came across this recipe for Blue Cheese Cookies with Strawberry Jam. 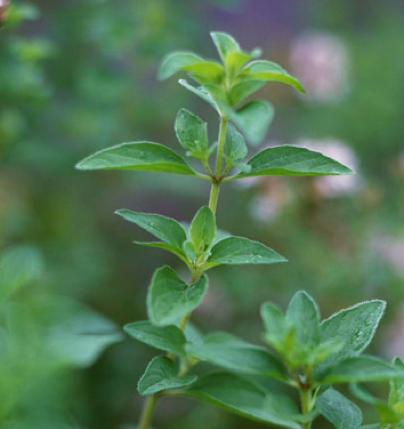 The idea of a strong-flavored “savory” combined with a “sweet” intrigued me, and so I cut out the recipe thinking it would be good for a reception or cocktail party. It has been simmering on the back burner of my mind for some time, waiting for the right opportunity. 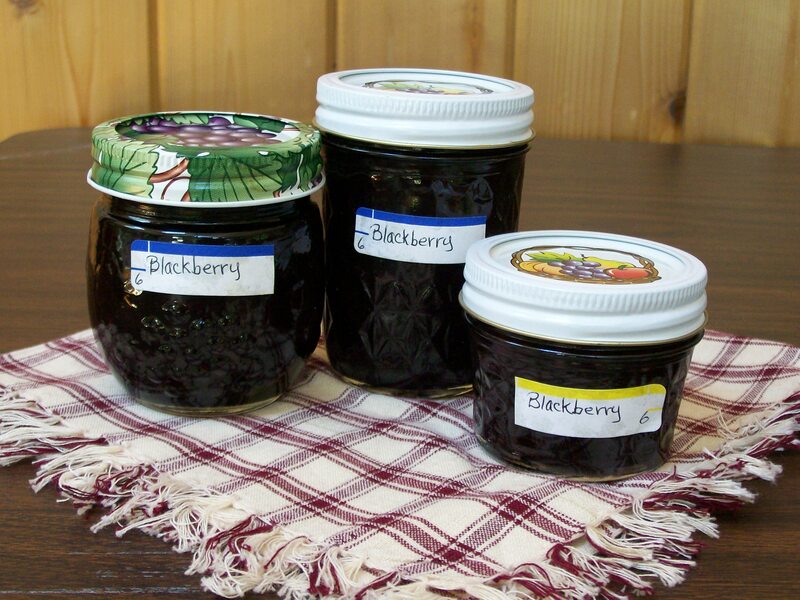 Since this has been a week devoted to berry recipes, I thought it would be a good opportunity to try it out. If you are entertaining and looking for something different to serve your guests, this just may be it. The cookies are pretty, and with the addition of jam quite tasty, but I must admit I have not become a convert to blue cheese because of them. However for folks who really like blue cheese, this is a unique way to enjoy it. 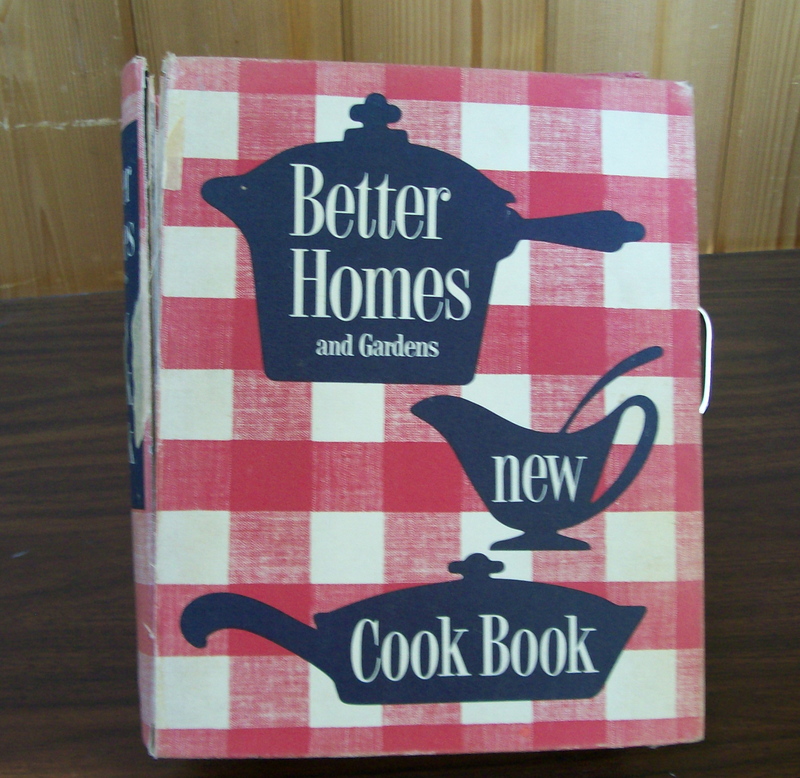 I will also tell you in advance that this recipe is not one you can whip up quickly, as there are several steps involved. I got a total of 48 single cookies, which when sandwiched together with the jam will make 24 cookies. 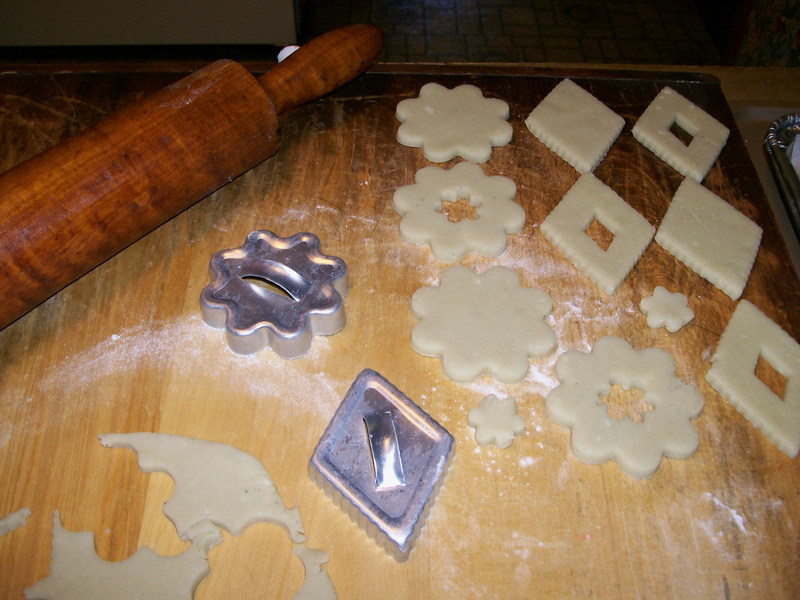 The recipe recommends a 2-inch cookie cutter and that is what I used. 3/4 cup strawberry preserves (at room temperature). 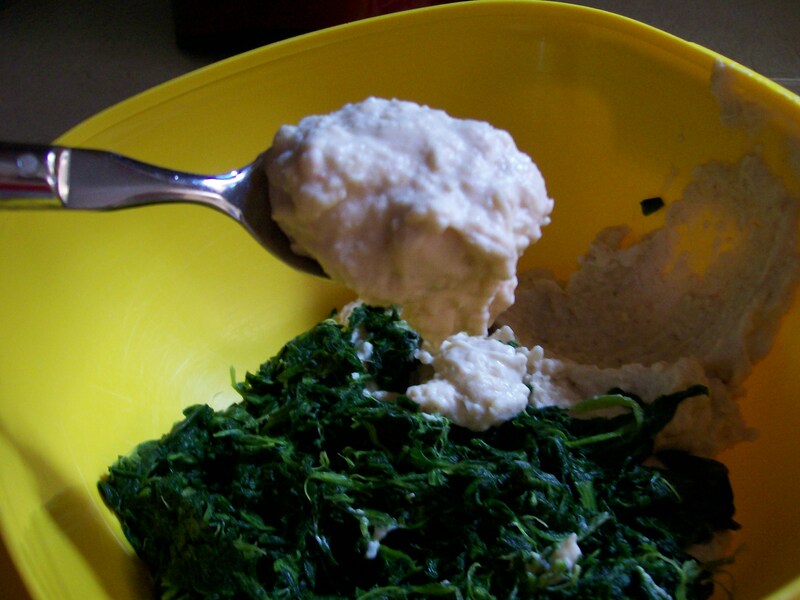 In the work bowl of a food processor, combine blue cheese and butter; process until creamy. Add flour, sugar, cornstarch, and salt; pulse until dough comes together. Form dough into a ball; flatten into a disk. Wrap in plastic wrap, and refrigerate for 1 hour. On a lightly floured surface, roll dough to 1/4 inch thickness. Cut out shapes using a 2-inch flower-shaped cutter. 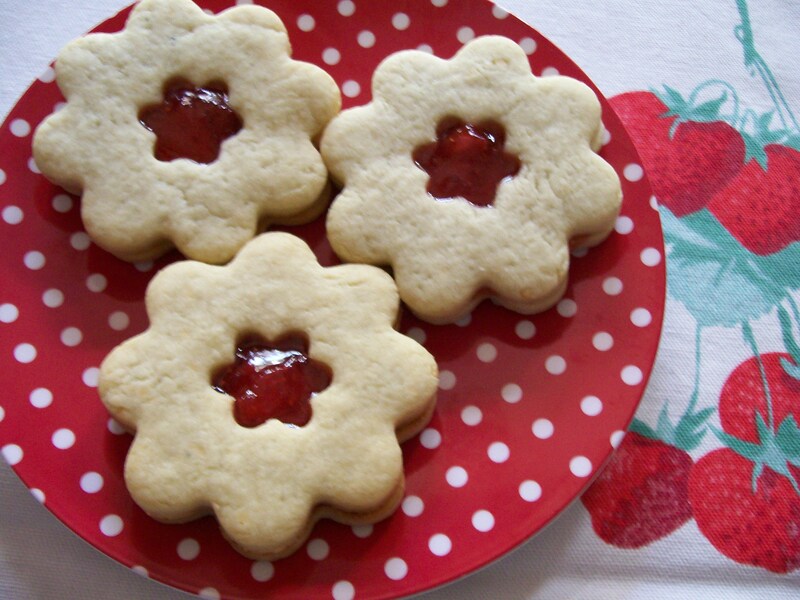 Cut out centers of half of the cookies with a small fluted cutter. 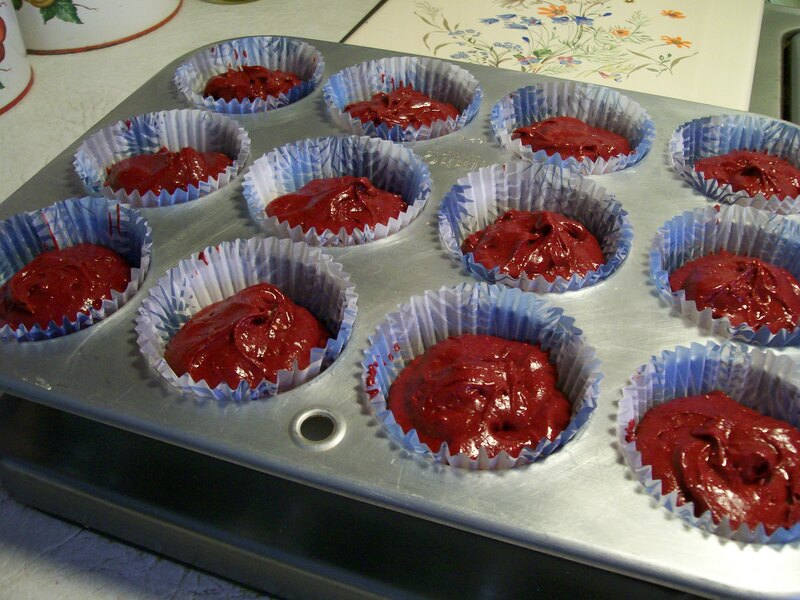 Place on prepared baking sheets, and bake for 15 minutes, or until lightly browned. Cool on pans for 5 minutes. Remove from pans, and cool completely on wire racks. 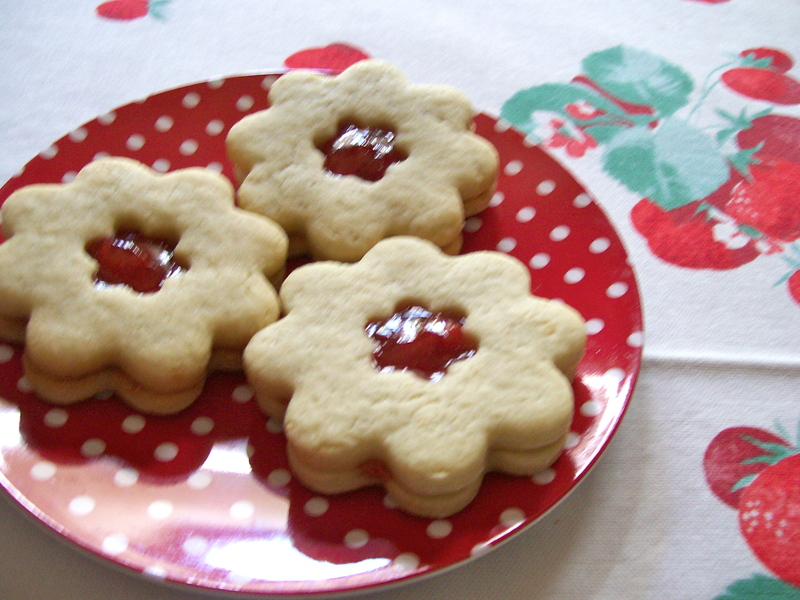 Spread about 1 teaspoon preserves over flat side of each whole cookie. Top each with flat side of cutout cookie. Store in airtight containers. Note: I found that the cookies will stay crispier if you wait to fill them until shortly before serving. A final note about these cookies: They are not sweet as you would expect a “cookie” to be, so in that sense the name is deceiving. Also the fancy shape leads you to expect a cookie. If I make these again, I would cut them in a plain round shape or a square so they resemble a cracker, and then the flavor of blue cheese would not be a surprise. Those who have tried them agree with me that they would be very nice on a buffet table with other finger foods, and where cocktails are being served. Thanks to my primary “taste-tester” for that in-put. 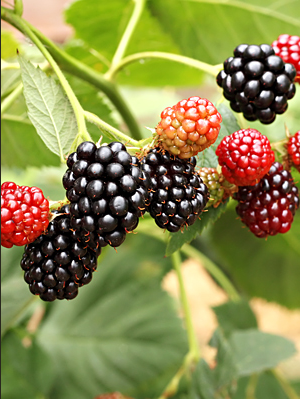 Raspberries are like little jewels; beautiful in color, bursting with juiciness and sweet-tart on the tongue. I just love them! They are, however, very fragile and perishable. So when you get some you had better have a plan for using them within a short period of time. 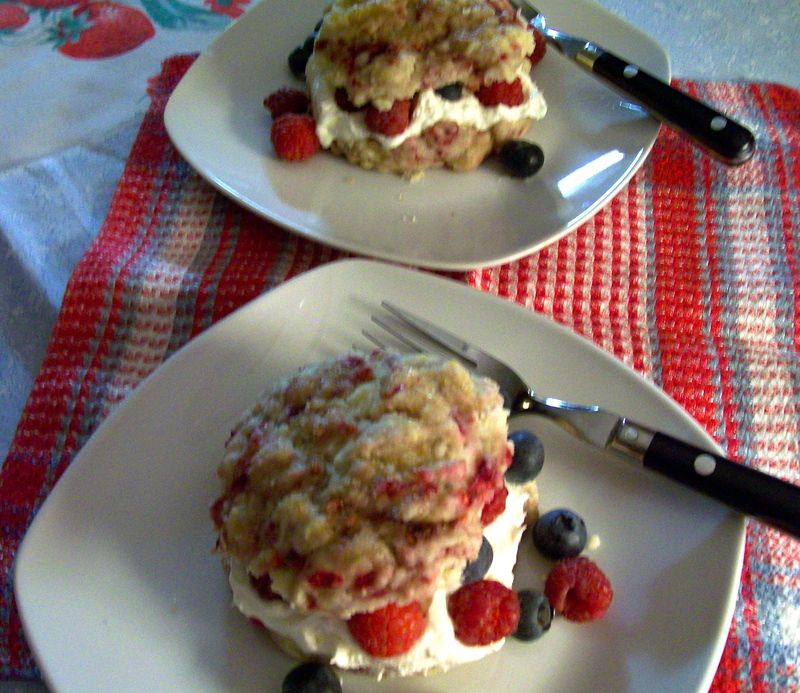 Whenever I pick raspberries I usually freeze most of them for later use, but save out a few to enjoy on cereal, over ice-cream, or in this case in a shortcake. 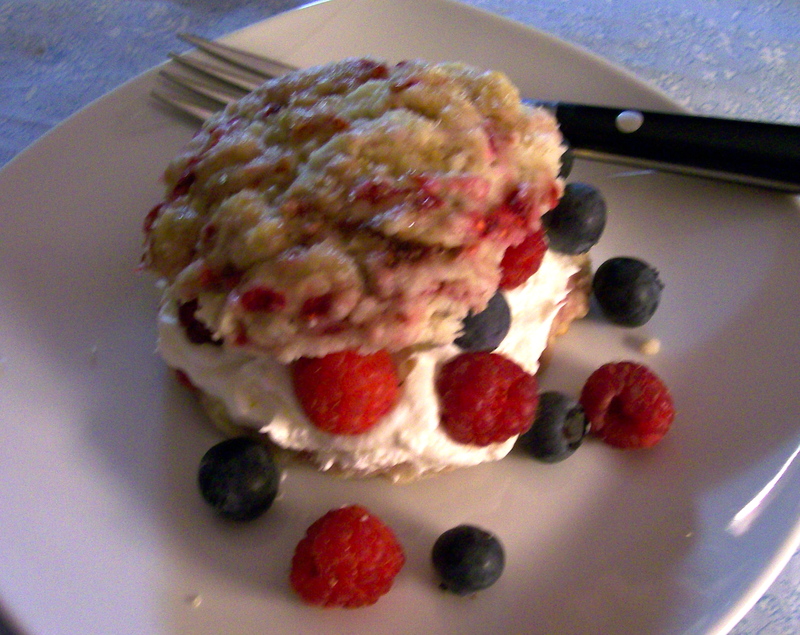 What drew me to this recipe is the fact that the berries are in the biscuits as well as in the filling. Heck, you can never have too much of a good thing can you? 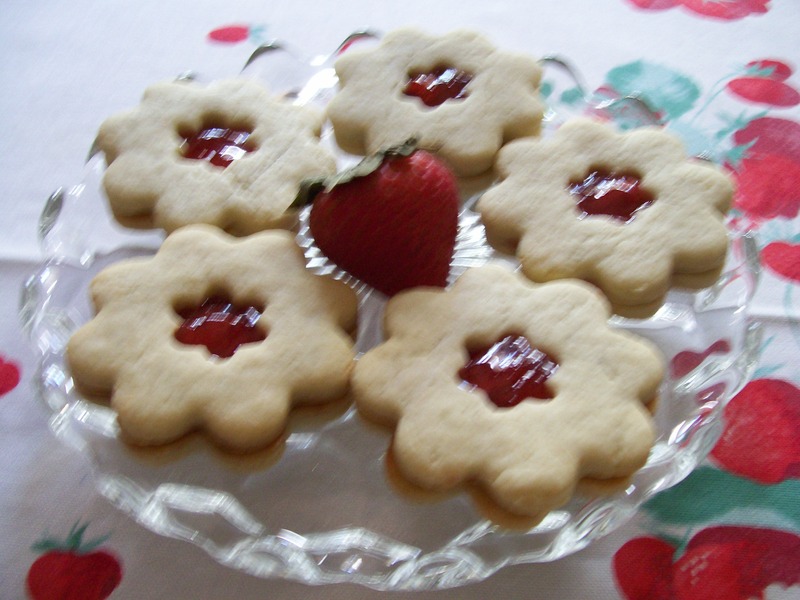 But if you didn’t want to have a whole shortcake, the biscuit alone with a cup of tea or glass of lemonade is still great. In a food processor, combine flour, sugar, baking powder, salt, and butter and process until mixture resembles coarse meal, with a few pea-size pieces of butter remaining. 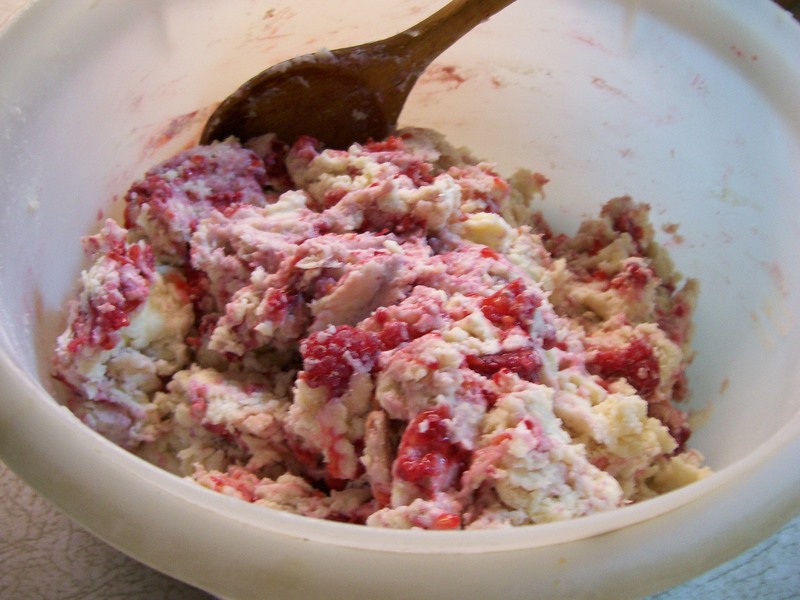 Transfer to a bowl and stir in cream, buttermilk, and raspberries until just combined. Do not over mix. Preheat oven to 400 degrees. Divide dough into eight ( 8) portions and shape into rounds. Place 1 1/2 inches apart, on a parchment lined baking sheet. Sprinkle with sanding sugar, if using, and freeze for 15 minutes. Bake until golden brown and set, about 20 minutes. Let cool completely on baking sheet placed on a wire rack. I sampled one while it was still warm from the oven. 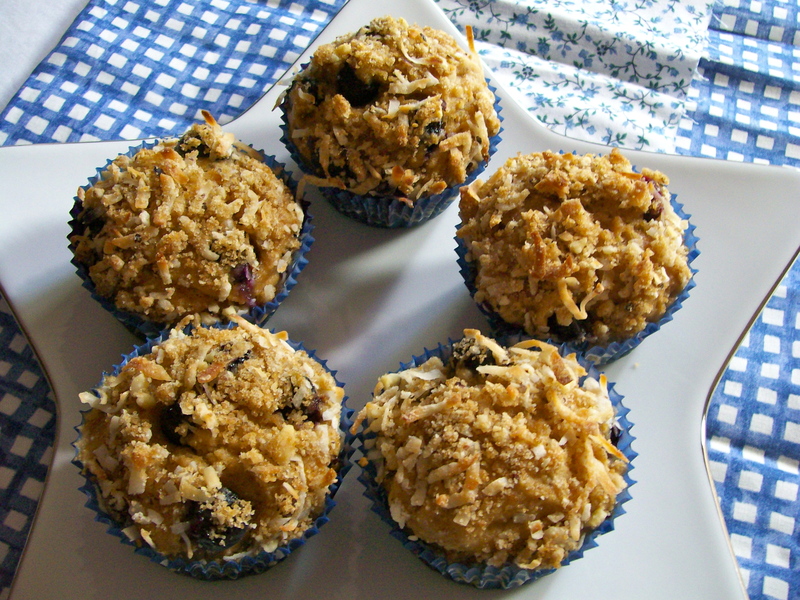 The texture is tender and flaky; absolutely delicious!. 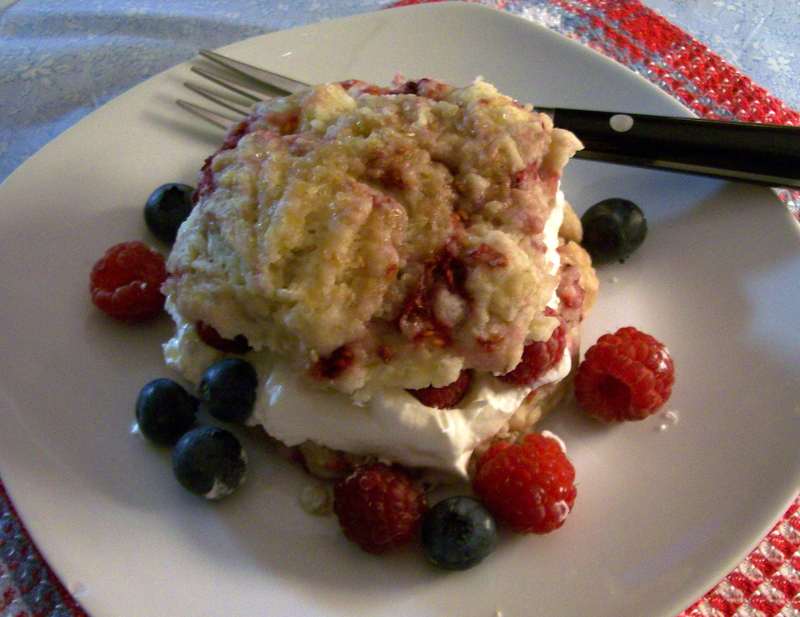 To serve, split biscuits in half, fill with whipped cream or whipped topping and raspberries. I added a few blue berries, too for color. 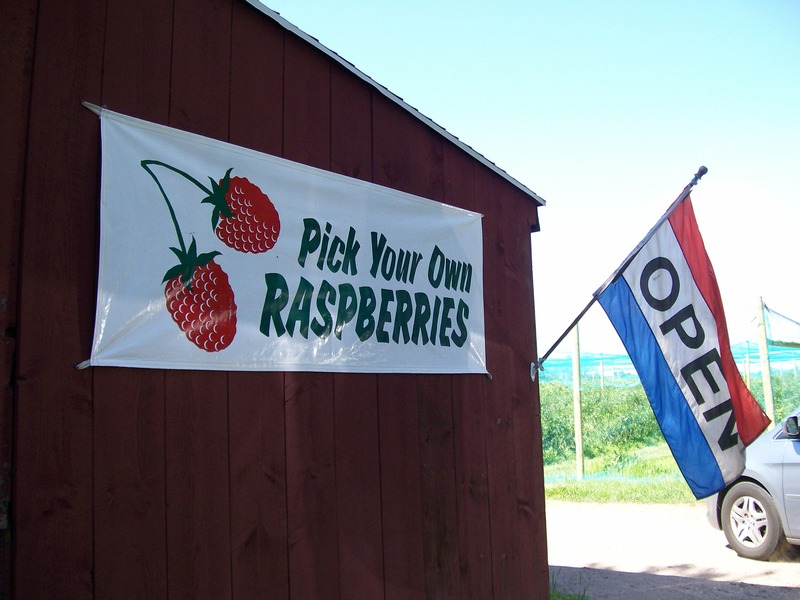 In the area where I live many of the farms are still picking strawberries, since the days have been very warm and sunny. I didn’t want to miss out on having some native strawberries, but I also didn’t want to use my oven unless really necessary. 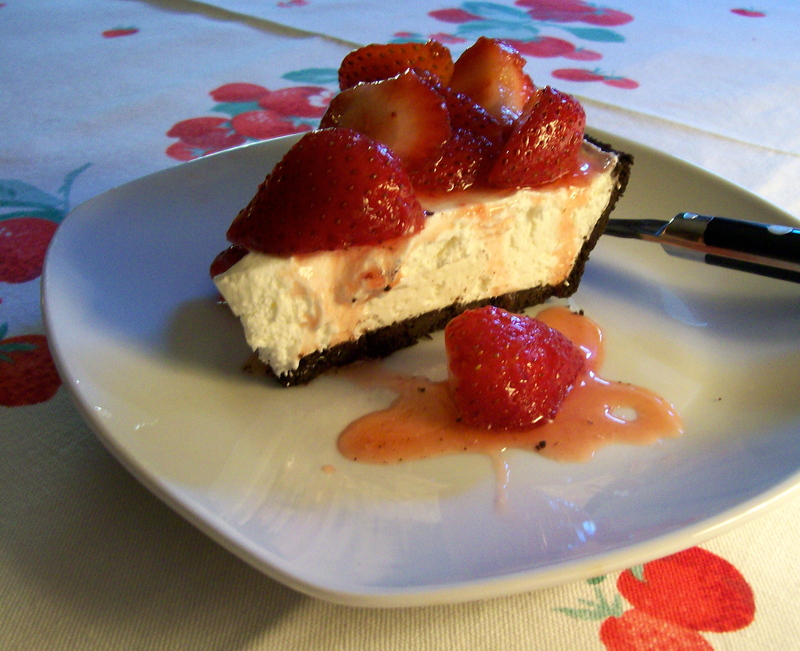 This recipe for a no-bake version of strawberry pie caught my attention for those reasons. 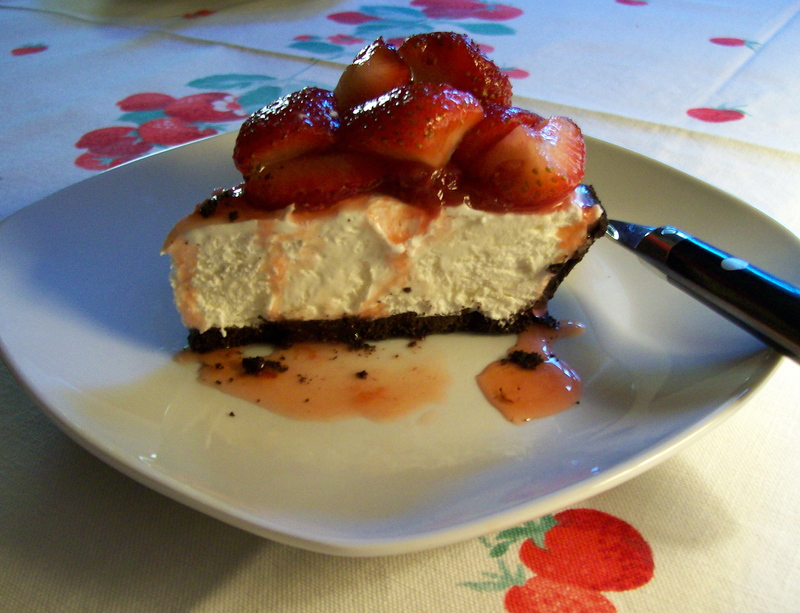 The combination of juicy spring berries piled atop a layer of creamy filling in a chocolate crust. What’s not to like here? Place pie crust in the freezer to chill while you make the filling. 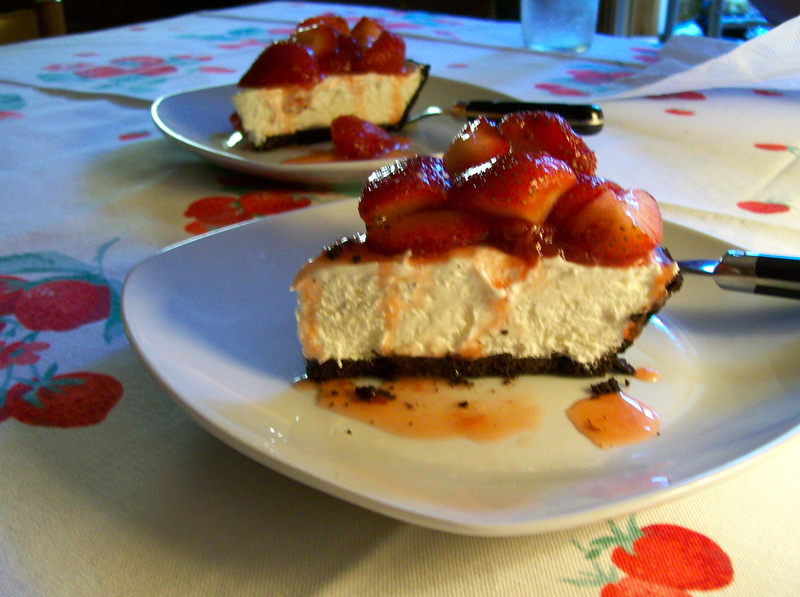 Place cream cheese, sugar, and vanilla in a medium bowl; beat with a mixer at medium speed until smooth. Fold in whipped topping. Carefully spread over bottom of crust. 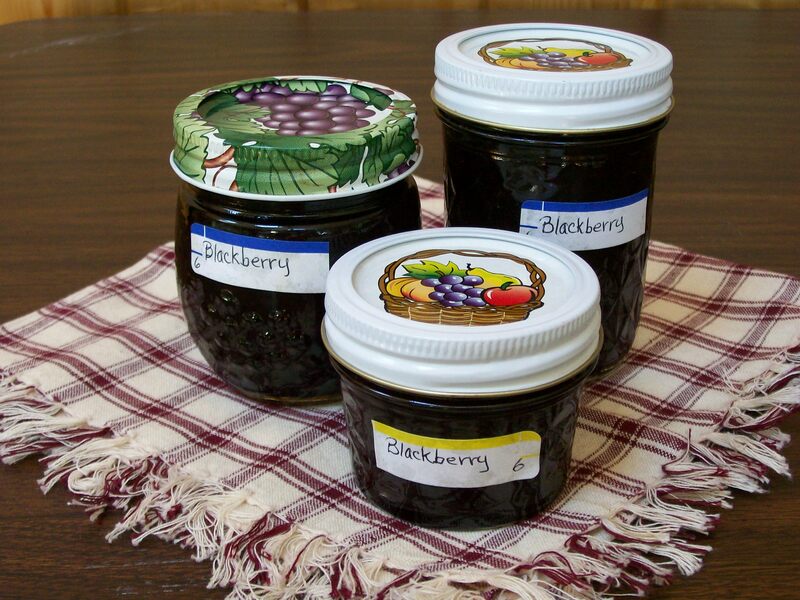 Place strawberry jam in a large microwave safe bowl; microwave at HIGH 10 seconds or until softened . Add liqueur and lemon juice; stir with a whisk until smooth. 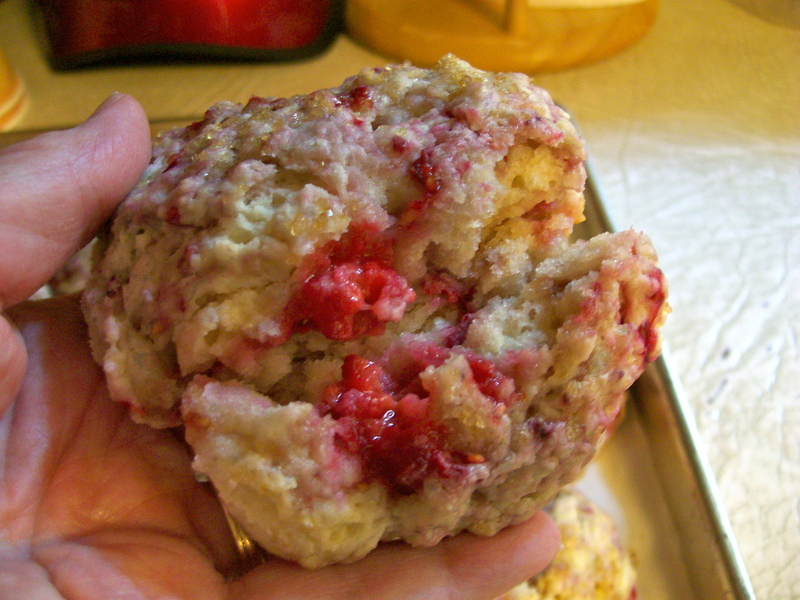 Add the berries; toss to coat the berries with the jam mixture. At this time of year I try to take advantage of summer’s bounty of fresh vegetables as much as I can. 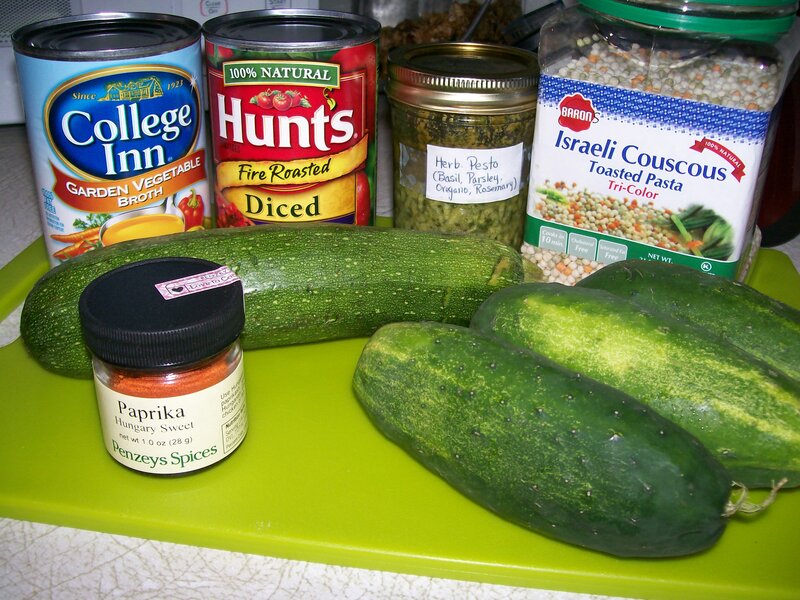 Summer squash and zucchini are two vegetables that seem to grow in great abundance for anyone who gardens. Several of my friends tend small garden plots and are generous in sharing ” the wealth” with me. The recipe for this quiche was in Cooking Light Magazine last July and I made it several times last summer and already this summer I’ve made it again because we like it so much. 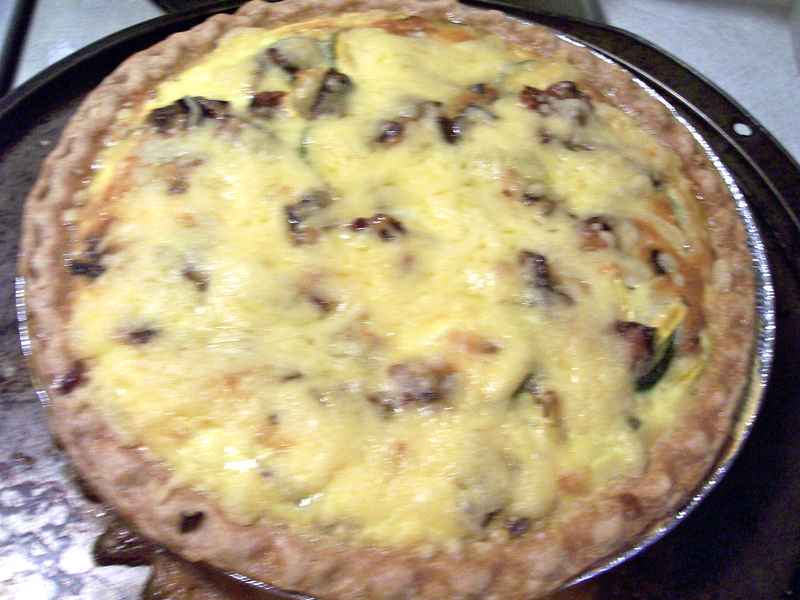 Except for the inclusion of some bacon it is almost meatless, so if you choose to omit the bacon the quiche will still be very good. It’s also a good way to get children to eat some vegetables by surrounding them with eggs and cheese and calling the dish “pie”. When I make this I usually serve it with just a green salad along side for a light summertime supper. It is also a very good dish to serve for a brunch. Crust: You may choose to make your favorite pie crust recipe, use a refrigerated pie crust such as Pillsbury, or a frozen premade crust from the frozen foods isle of the grocery store. Preheat the oven to 400 degrees Pierce the crust bottom and sides with a fork. Bake at 400 for 15 minutes. Watch carefully to prevent bubbles from forming, by pricking with a fork. Cool slightly. 4 slices smoked bacon, cooked crisp and crumbled. Save about 2 Tablespoons of drippings in the pan. To prepare filling: Saute the two squashes and the chopped onion in the bacon drippings, sprinkling with the thyme. Cook for about 5 minutes or until squash becomes tender. Combine the milk, salt, pepper and eggs in a large measuring cup, stirring with a whisk. 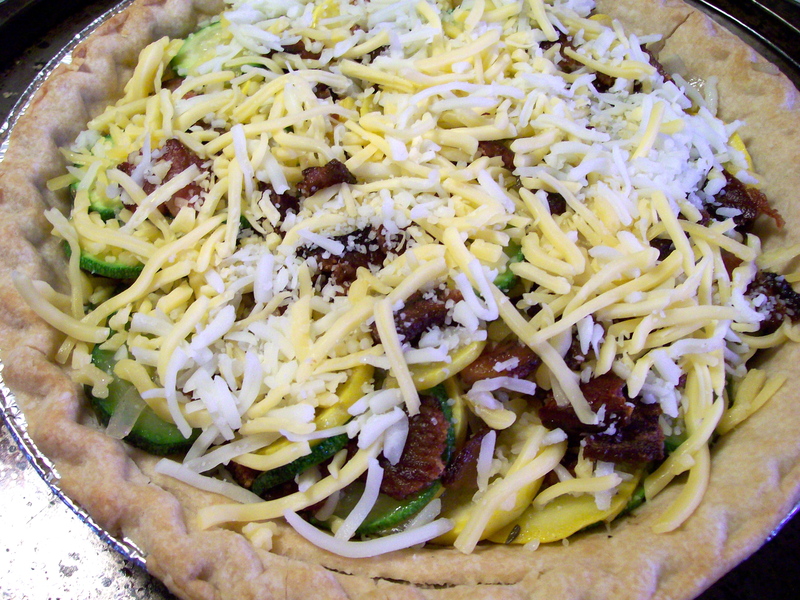 Arrange the squash mixture evenly in the pie crust, sprinkle with the bacon and mozzarella cheese. Pour egg mixture over all. Bake at 350 degrees for 45 minutes or until filling is set. When you write a food blog like this the photos taken usually show off your dish to good advantage, and the reader gets the impression that everything goes smoothly and comes out looking ‘picture perfect”. Not so! Sometimes everything goes wrong and the dish looks horrible. Those I don’t write about. 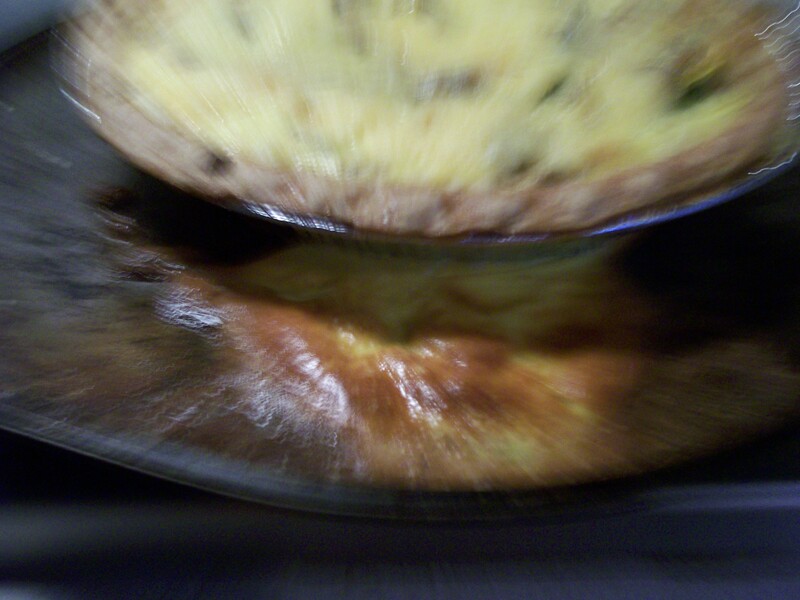 But sometimes funny things happen which was the case with this quiche. For my crust I used one which was frozen from my freezer. Some how I failed to notice there was a crack in it. Look closely, you can see it! So after I filled it with the veggies, bacon and cheese, I poured in the milk mixture, which ran out the crack, over the side of the pie pan and onto the baking sheet underneath. I discarded as much of the overflow as I could manage, then put the whole thing in the oven and hoped for the best. Needless to say it continued to leak in the oven. 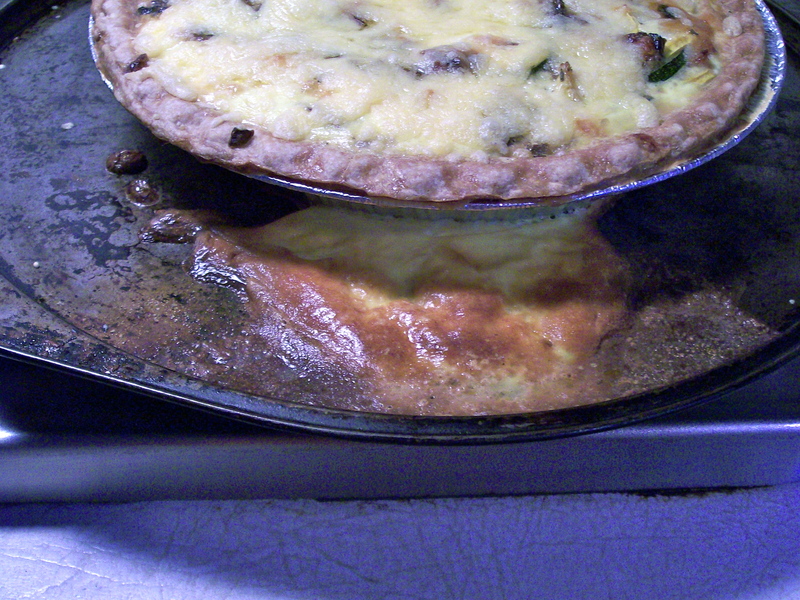 When the quiche was cooked and I removed it from the oven there was a hugh bubble of cooked egg mixture attached to the side of the pie pan. Sort of like a pop-over attached to a quiche! It deflated quickly so I didn’t get a good picture of it, but you can see remnants of it in the pictures below. 🙂 In spite of this the quiche tasted very good, and we really enjoyed it. A neighborhood block party for the Fourth of July. Everyone brings a pot-luck dish to share. Friends getting together, talking, playing games, kids running around, riding bikes, playing in the sprinkler. 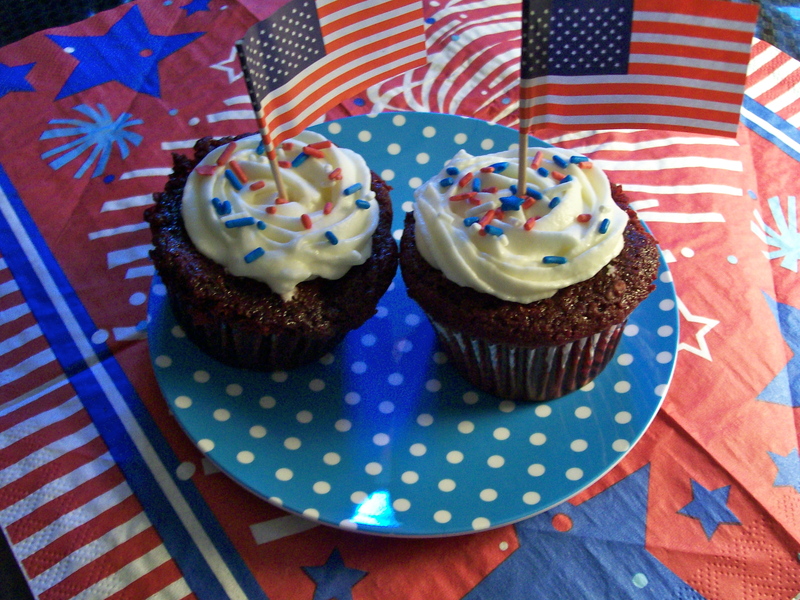 A very typical July 4th celebration. That’s what we did and perhaps many of you did the same. I hope your day was relaxing and enjoyable. This post is about the appetizer I brought to share. 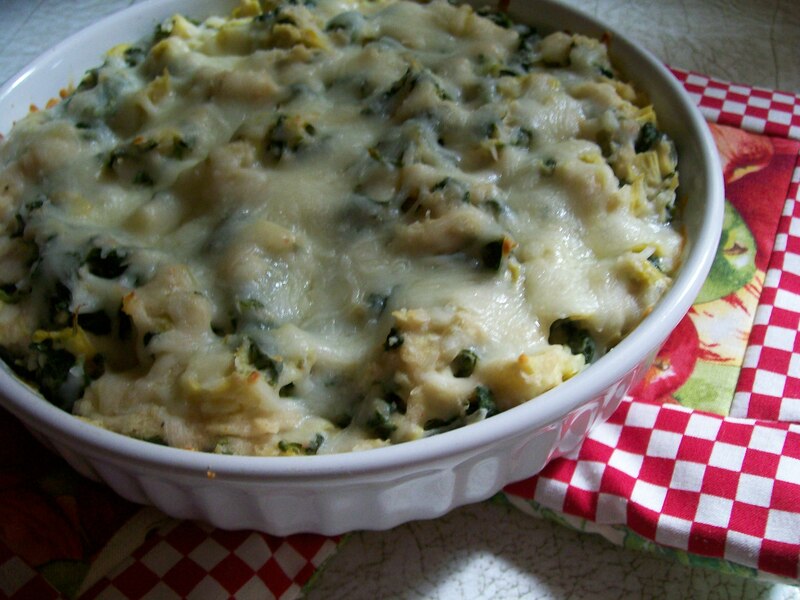 It got rave reviews, disappeared very quickly, and was very easy to make. I served it with a variety of crackers, and toasted pita chips for dipping. I’ve had this kind of dip on previous occasions, and though I like it very much I limit myself to just a few tastes because I know it is usually high in fat and calories. 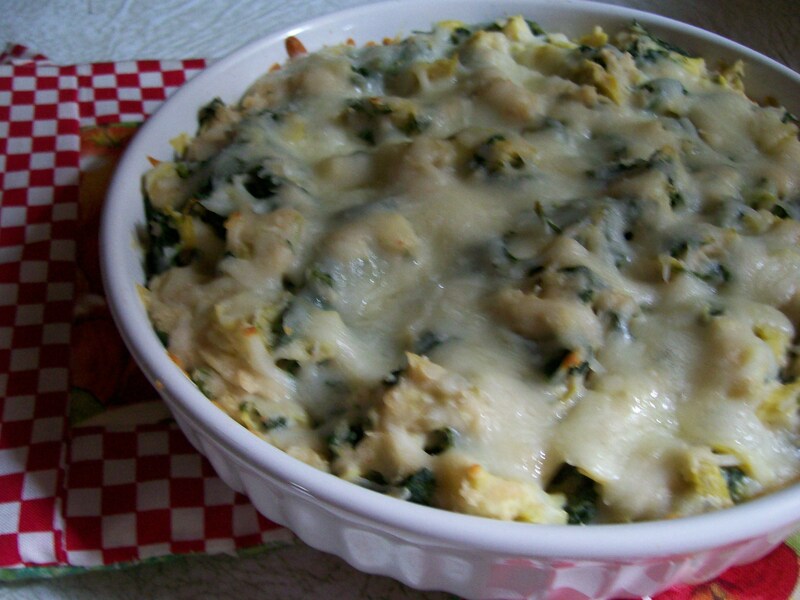 This version, however, cuts the calories way back, by reducing the amount of cheese(es) in it, and including white beans processed with the base ingredients to give thickness without fat. So in this version you have the sharpness of Romano cheese, the tang of lemon juice, and the bite of red pepper, incorporated into a base made smooth by mayonnaise (the only fat) and pureed white beans. 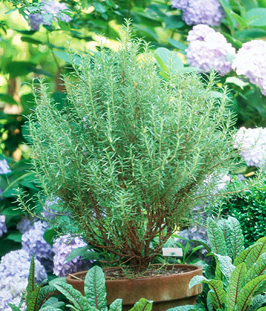 To me this is the real star of the show, although the spinach and artichokes get all the attention. This is when I say, Oh, Yeah! Bring it on! You’ll be happy to know that a 1/4 cup serving contains only 87 calories, 4.9 g.carb, and 5.4 g. fat. 1 (14 oz.) 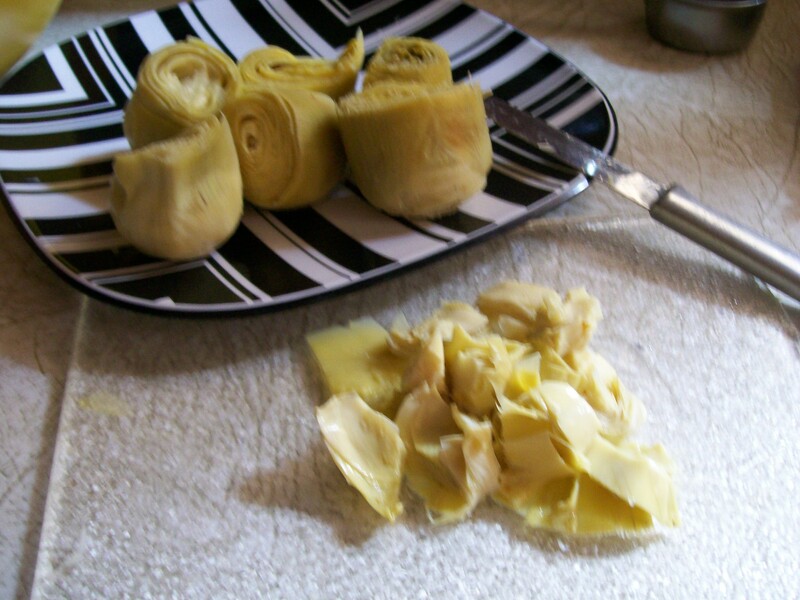 can artichoke hearts, drained. Quarter and chop them. 1 (9 0z. ) package frozen chopped spinach, thawed, drained, and squeezed dry. Preheat oven to 350 degrees. Spray a 1-quart baking dish with cooking spray. 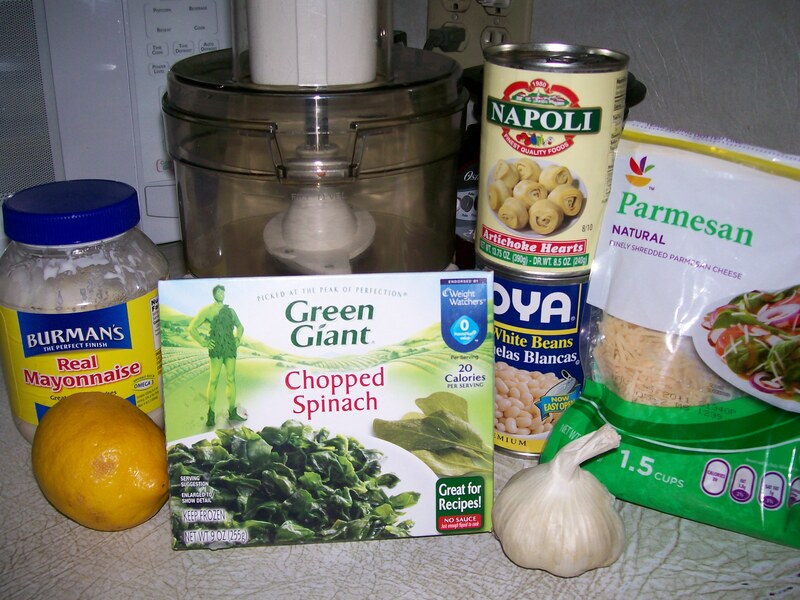 Place Romano cheese, mayonnaise, lemon juice, salt, black pepper, red pepper, minced garlic, and white beans in a food processor, and process until smooth. Spoon into a medium bowl. Stir in the artichokes and spinach. Spoon the mixture into the prepared baking dish. Sprinkle with the mozzarella cheese. Bake at 350 degrees for 20 minutes or until bubbly and brown. Serve warm with crackers or chips for dipping. The end of June and beginning of July has been a very busy time with parties to celebrate various milestones within our family and with friends. 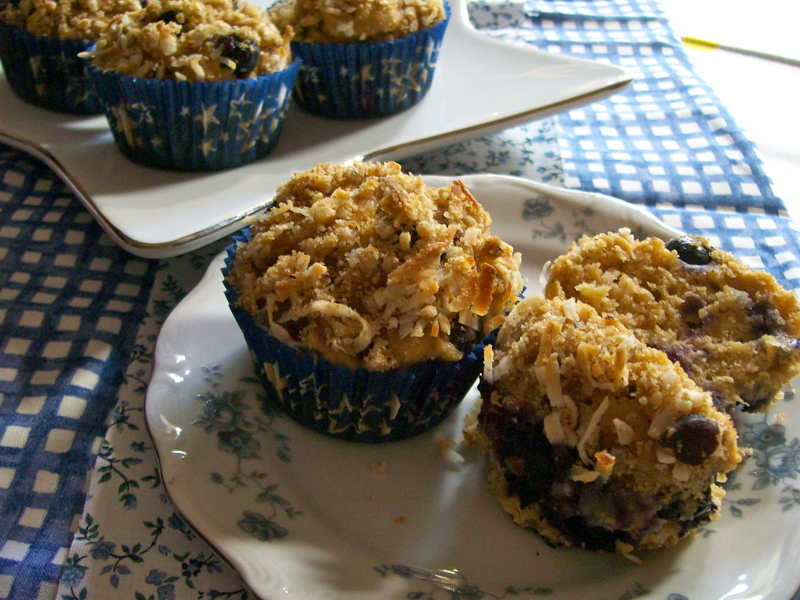 I’ve already told you about my granddaughter’s graduation party and what I baked for that. 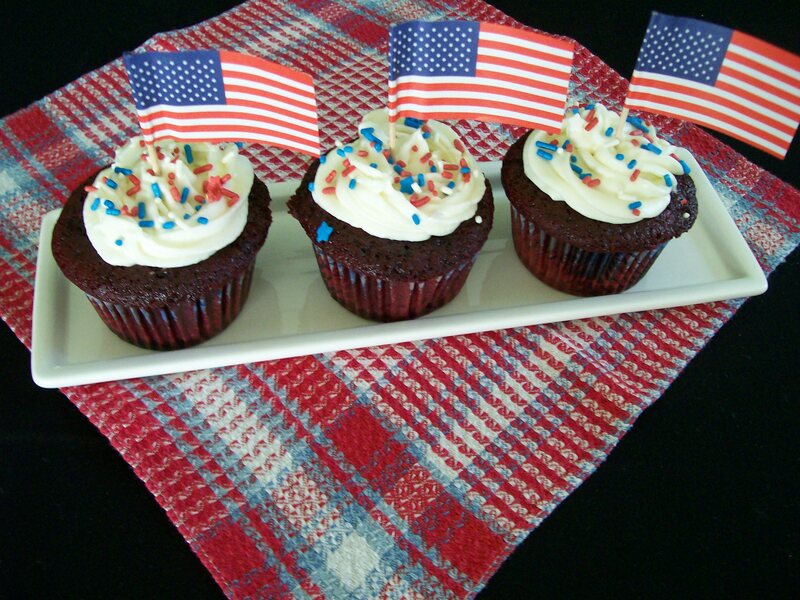 Today’s blog is about cupcakes that I made for a friend’s 20th anniversary in professional practice; and since it is right around the Fourth of July, I went with the Patriotic theme. 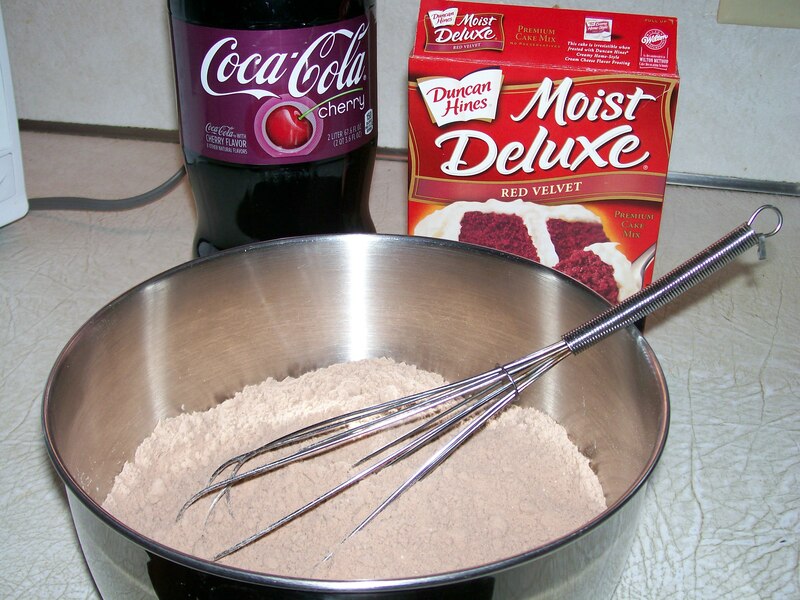 I have been reading recently in some of the blogs I follow about a quick way to make a cake or cupcakes using nothing more than a boxed cake mix and a can of soda. Really? That’s what I said! 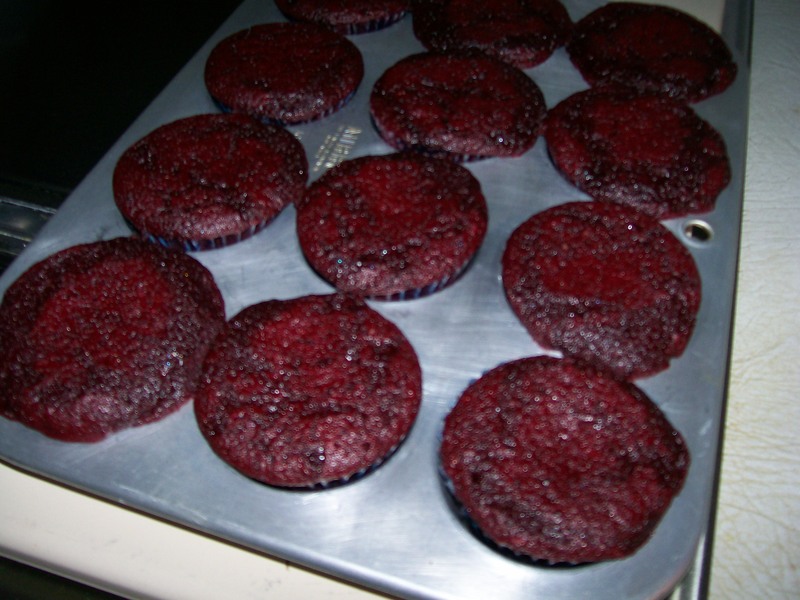 So I tried it and found out they come out really moist and kind of chewy; The texture is not as fine as a cake’s, but for a cupcake I really liked that. The cake and soda combo I used was Red Velvet Cake Mix and Cherry Coke. I think it will be fun to try some other flavor combinations such as lemon cake with Sierra Mist or lemon and lime soda. So many possibilities. If you haven’t heard about this until now, try it. It’s a novel idea whose time has come. For the frosting on my cupcakes, I wanted white, so I made a simple cream cheese and butter cream frosting, piped on with a large star decorating tip. 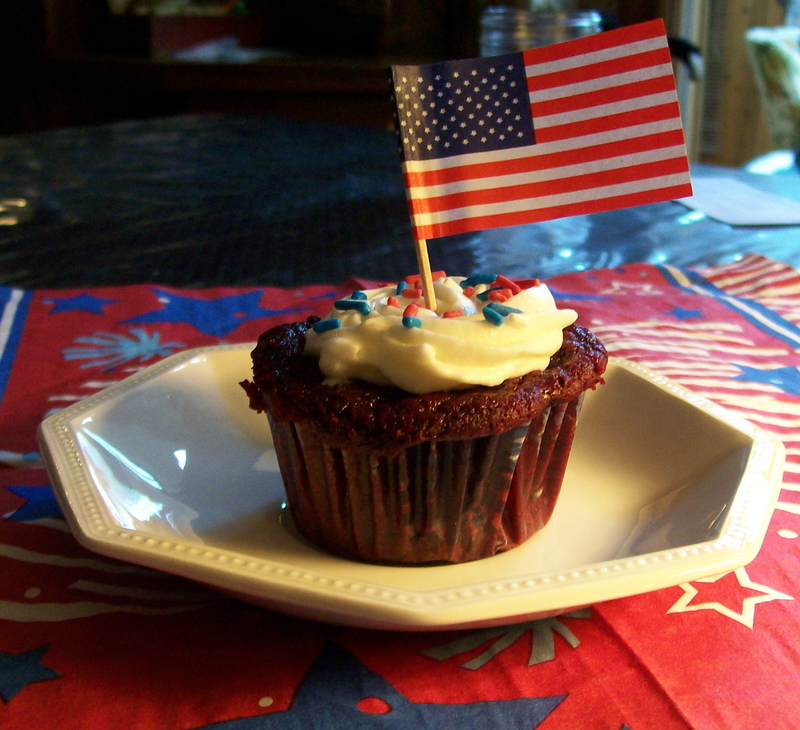 Then I sprinkled them with a “stars and stripes” sprinkle mix and topped each one with a tiny flag. So Cute! This is all you need: a boxed cake mix and an 8 oz can of room temperature soda. I poured that amount from a full-size bottle, because I couldn’t find the cans. This is what it looks like when you start to mix it up. 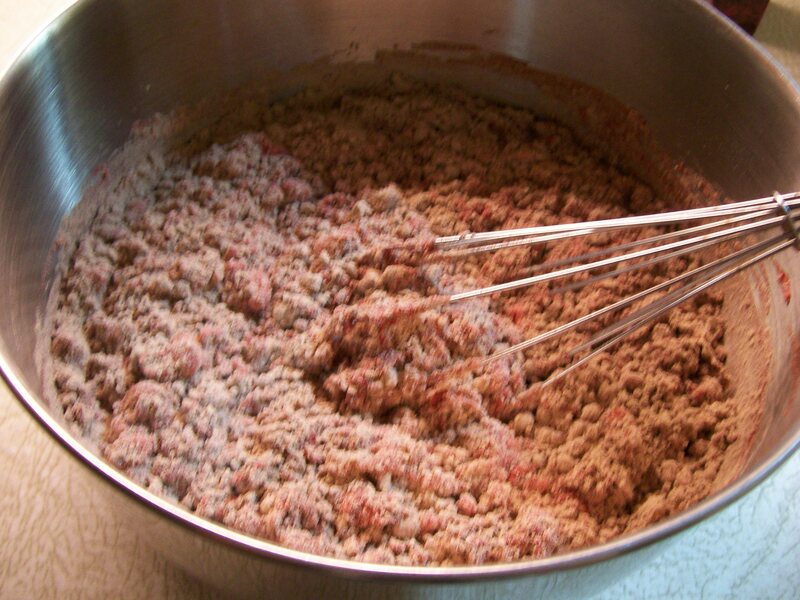 Use a whisk to mix it up, working out most of the lumps. 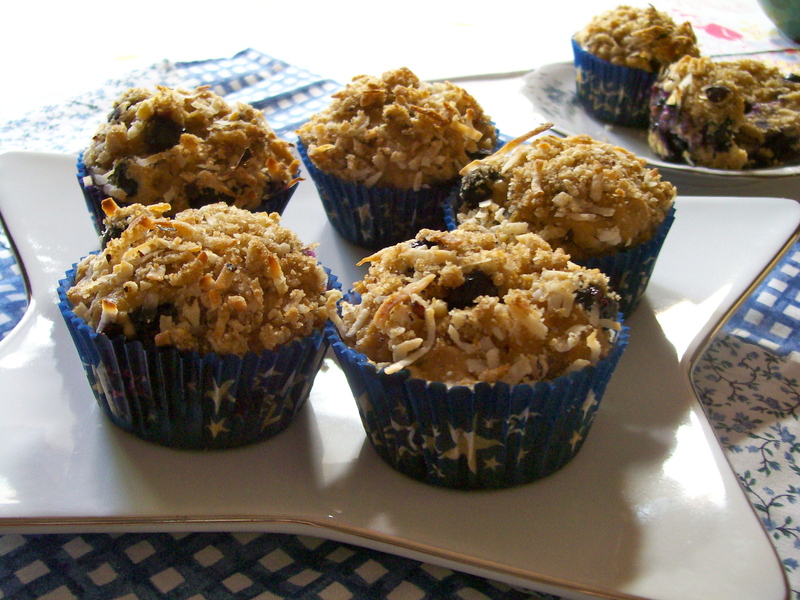 Line muffin cups with liners and fill 1/2 – 2/3s full. Do not overfill. After baking. I got a total of 17 cupcakes, could have gotten 18, by making them a tad bit smaller. 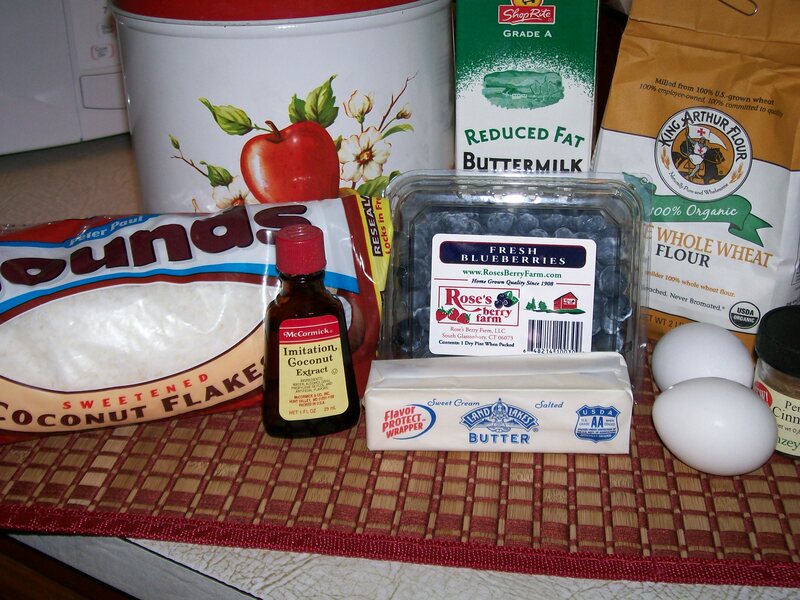 To make the frosting, put the cream cheese and butter in small bowl of mixer and blend together to cream. 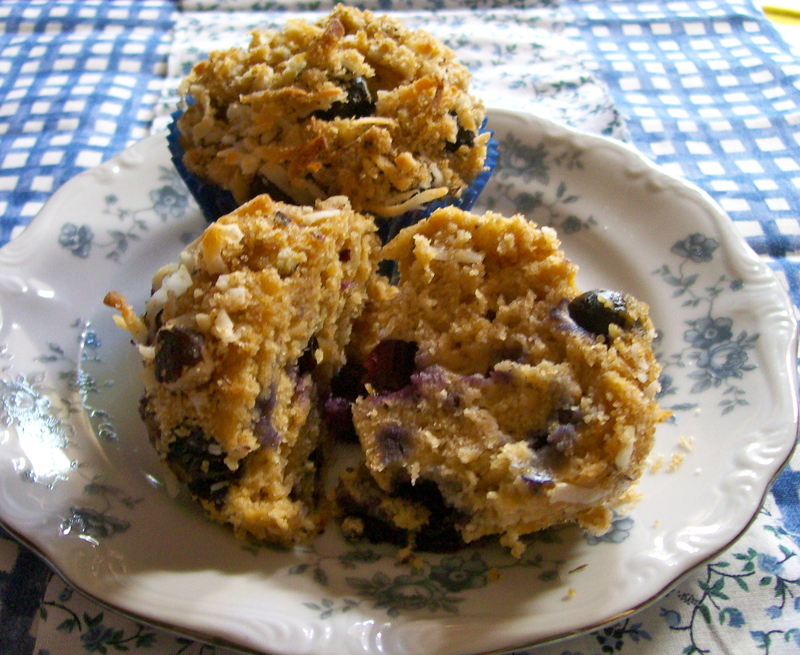 Sift in the sugar and continue beating until smooth and creamy. If you plan to pipe it on with a decorating tip, it needs to be quite stiff. I refrigerated my frosting a bit after mixing just to get it stiff enough to decorate with. Unless you are serving the cupcakes right away, it is wise to refrigerate them to prevent frosting melt in this warm weather. Really Cute! They tasted as good as they looked. Have a happy and safe Fourth of July, everyone.